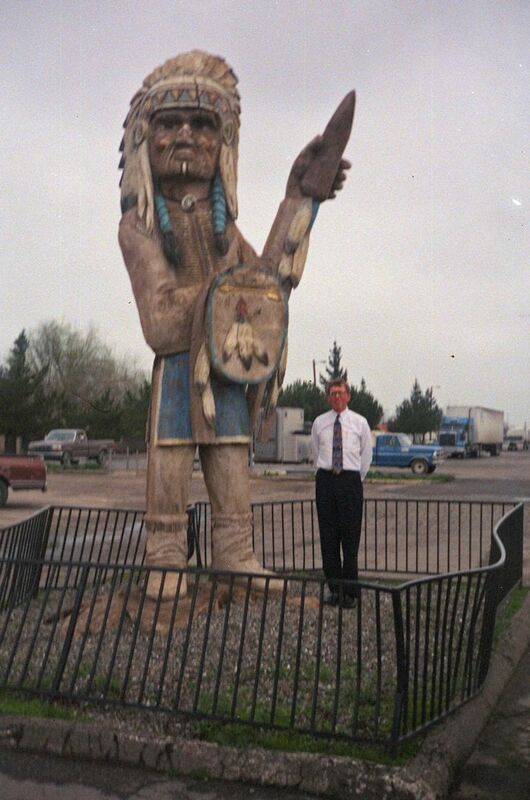 Modesto Native American – The Home of My "Big Things"
Here’s another Indian. This one has seen better days, check out the fence. Found it (while working, ha ha!) on the way from Modesto to San Jose in California.